Black cotton t-shirt featuring the band on the front. Unisex cotton t-shirt. Great high quality shirt high quality Graphics fits great and at an amazing price. Supersuckers are an amazing band the shows are always energetic fun and you never know what kind of show you're going to get depends on the mood of the band I figure. 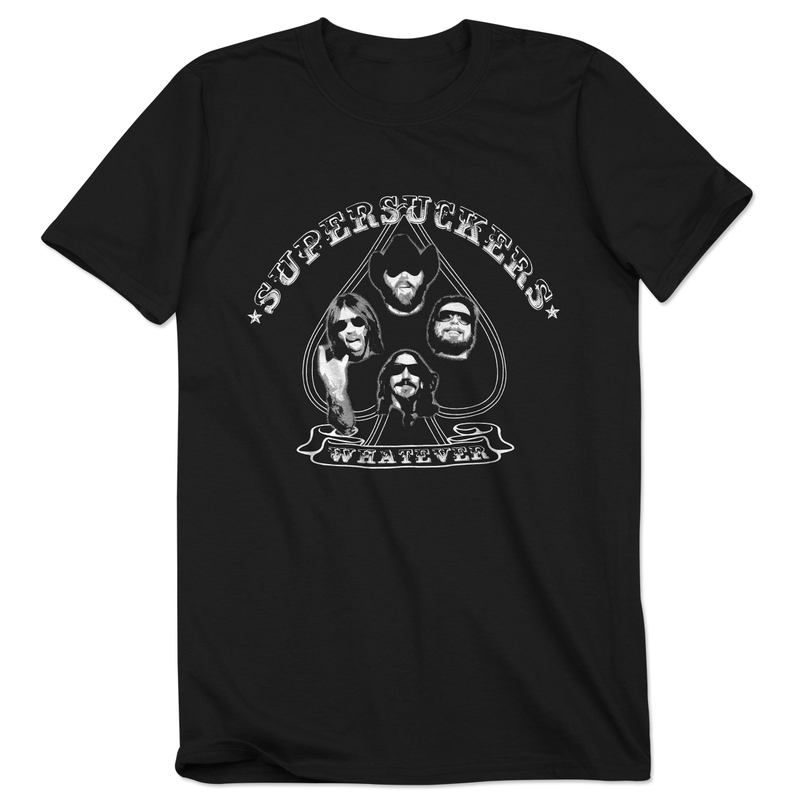 They always keep their shows and merchandise at a price that their fans can afford these guys really know a rock rolls all about! Thanks suckers!